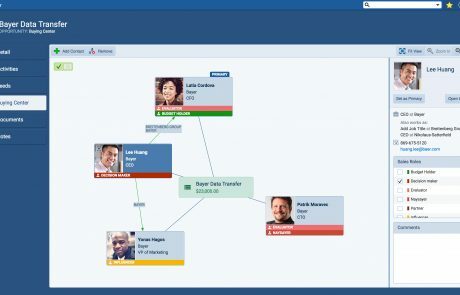 Smart Org Chart For Smart Account Planning! Knowing Who’s Who Could Make All The Difference To Growing Your Accounts. Being able to identify and map the organizational structures within your accounts means you can see where the opportunities are to expand wallet share and who you need to focus on connecting with! Top performing salespeople know that understanding the lay of the land within each of their accounts is critical not only to winning and retaining business but also to expanding it. 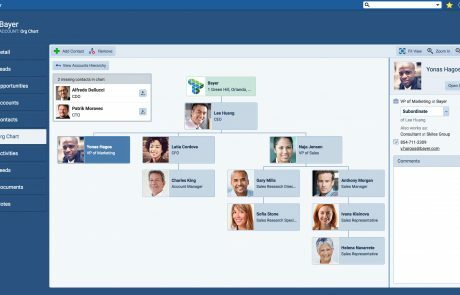 Pipeliner also understands this and has created Smart Organization Chart Charts that you can easily configure in each Account. 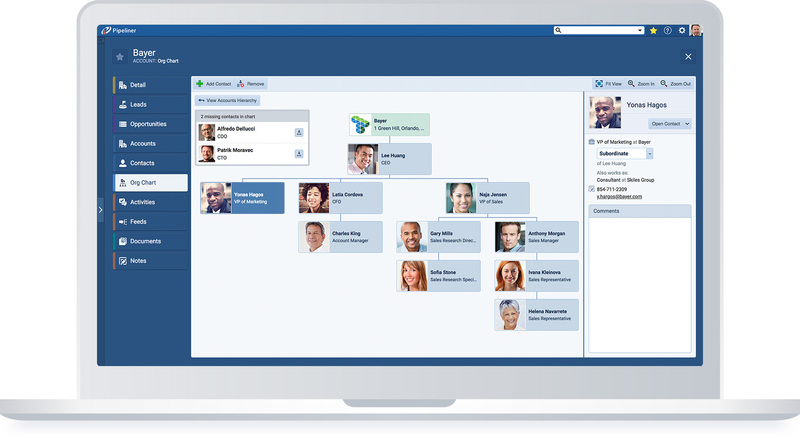 Building an Org Chart is as simple as just selecting the Contacts associated with the Account and then assigning and arranging them according to where they sit in the organization and who they report to. Now you or your team can always be up-to-date with what is going on organizationally within your accounts and plan appropriately. 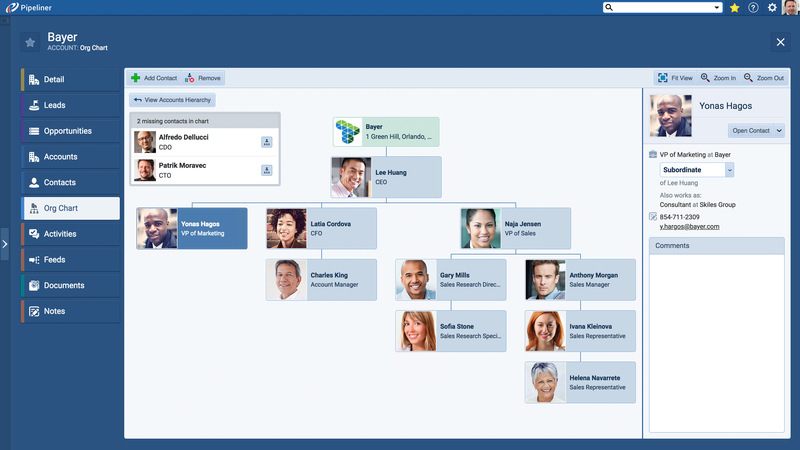 Updating, reassigning or removing contacts from the Organization Chart is quick and easy. And when you have an Opportunity within the Account, you can create a Buying Center map where you can assign buyer roles to that specific Opportunity. The Buying Center which is accessed from within the Opportunity can draw upon the Contacts in your Org Chart for efficiency. Today it can happen that several accounts are related to each other. As an example, XYZ Company might own ABC Company, and it might even be that XYZ company must ultimately approve any purchases being made by ABC company. But in Pipeliner these 2 companies are entered separately because they’re actually different entities. A sales rep on ABC’s account, though, might want to associate the 2 companies because they are, in fact, related. With our new Parent Account feature, this can now be done: you can assign a parent account to an existing account—in our example, XYZ Company could be assigned as a parent account to ABC Company. This new feature also allows the assignment of multiple accounts under one account. You can also select a particular account, and aggregate data from multiple accounts into that selected account. 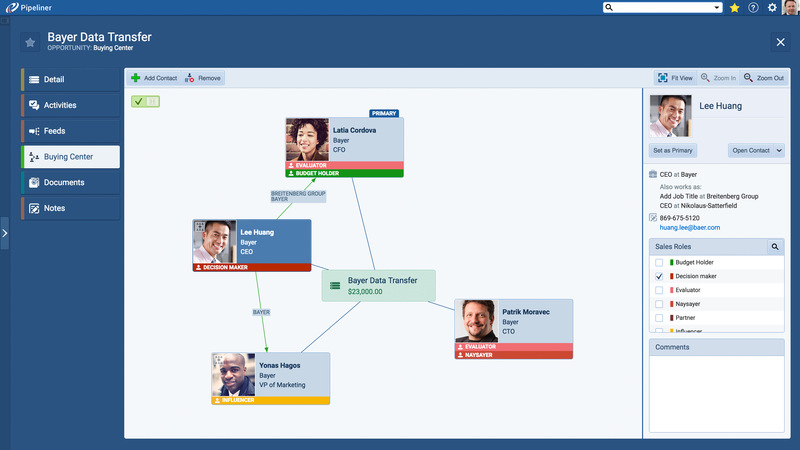 Our Smart Org Chart functionality has now been updated to support multiple accounts.